Their Royal Highnesses Crown Prince Alexander and Crown Princess Katherine visited Kraljevo today. 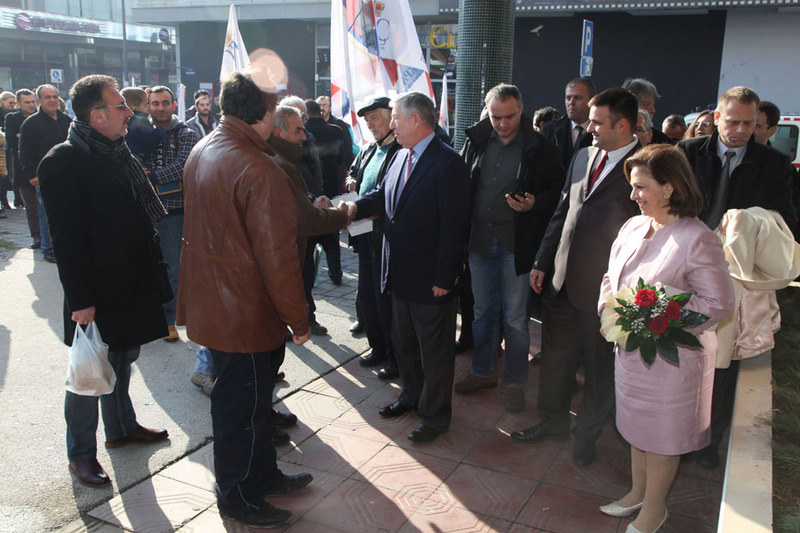 Before the arrival to Kraljevo, where the Crown Prince and Crown Princess were welcomed in front of the City Hall by the Mayor Mr Tomislav Ilic, a large number of the Kingdom of Serbia Association members and the citizens of Kraljevo, the Royal Couple visited Novo Selo near Vrnjacka Banja, and the kindergarten “Princess Katherine” whose construction was financed by Dr Nada Milosavljevic, a doctor whose family originate from Vrnjacka Banja who lives in the United States of America, and co-funded by the humanitarian Foundation of HRH Crown Princess Katherine. Upon arrival to Kraljevo, the Crown Prince and Crown Princess met with the Mayor, Mr Tomislav Ilic with whom they discussed the needs and problems of the city. Crown Prince Alexander met with directors of public companies in Kraljevo and presented ways in which he could help them to find new investors. After that, HRH Crown Prince Alexander addressed the Kraljevo City Assembly. 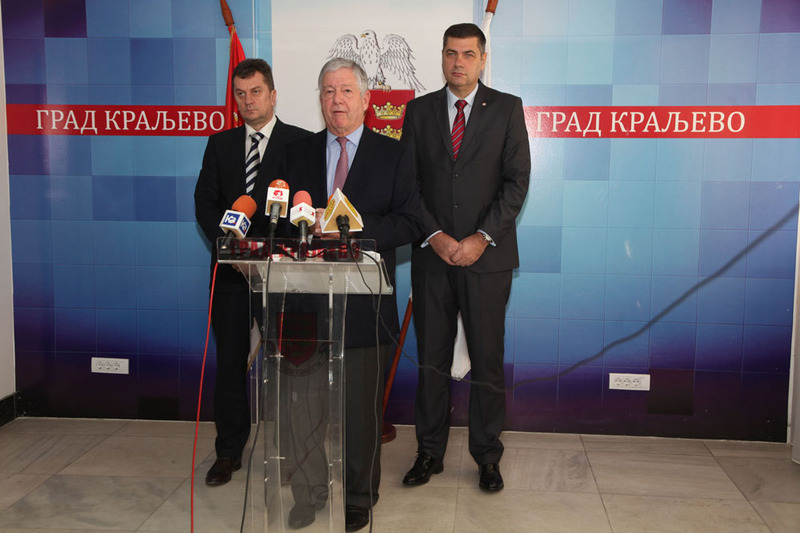 HRH Crown Prince Alexander and Mr Tomislav Ilic held a press conference. Addressing the media representatives, Crown Prince Alexander said: “It is a great pleasure for my wife and me that we are again today here with you, in a city that was named in honour of declaring Serbia kingdom. At the meeting with the city administration representatives we talked about the economic situation. It is very difficult throughout the country. We must do more to attract foreign investments, because it means creating new jobs. My family and I are always ready to help in this. Thanks to the Foundation of my wife, today we bring Kraljevo humanitarian aid, donations to the Health Centre “Studenica”, Children’s Village “SOS” and the special school “Ivo Lola Ribar”. If all of us help each other and work together, I am sure that we will achieve a better future for our children”. 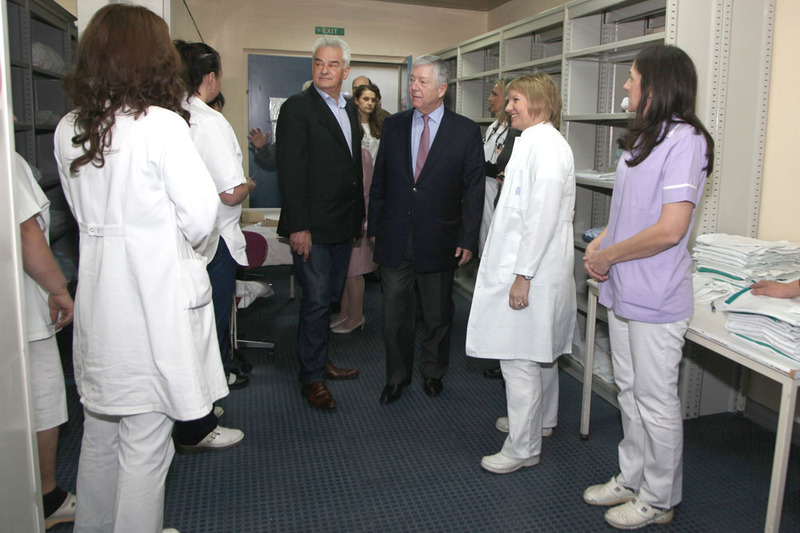 During the tour of the Health Centre “Studenica” Crown Prince and Crown Princess spoke with the director of the hospital Dr Zoran Mrvic who told them about the situation in the Health Centre. Crown Princess Katherine on this occasion gave a donation to the hospital, which was provided thanks to the Lifeline Humanitarian Chicago Office, which operates under the patronage of Crown Princess Katherine. The donation consists of 220 mattresses, pillows, bedding and medical packages. “Today we have gathered in Kraljevo to deliver this valuable donation we raised thanks to our friends from Lifeline Humanitarian Organization. I want to thank them for their generosity and good will they have been showing for years by helping our people. 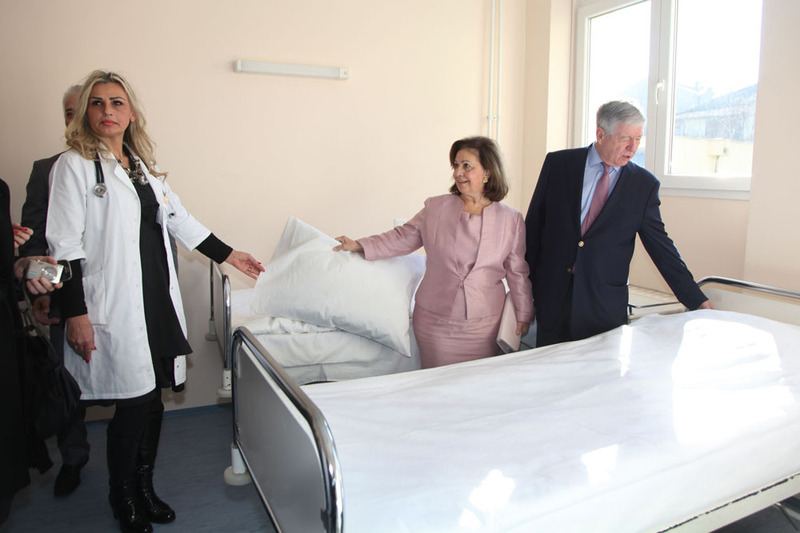 I am sure that this valuable help will contribute to a better treatment of the citizens of Kraljevo and facilitate the work of doctors, nurses and other staff” – said Crown Princess Katherine. 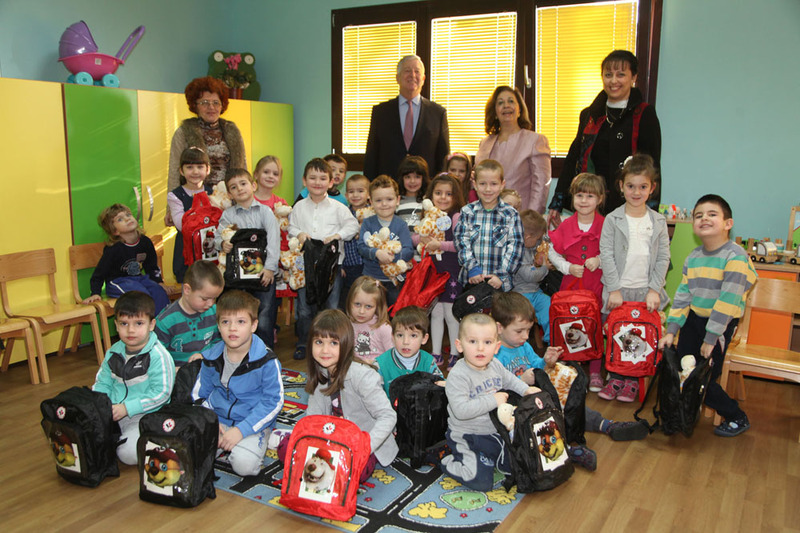 In addition to the Health Centre “Studenica” the Crown Prince and Crown Princess visited the School for Special Education “Ivo Lola Ribar” and the Children’s “SOS” Village. The Royal Couple donated an interactive whiteboard to the School for Special Education “Ivo Lola Ribar”, which was provided thanks to Lifeline Humanitarian Organization New York, which is under the patronage of Crown Princess Katherine. “My husband and I have now come to your school to donate you this valuable gift we bought thanks to our friends from New York Lifeline Humanitarian Organization. We are all grateful for their generosity and goodwill shown by helping our people” – said Crown Princess Katherine. The Royal Couple also visited the Children’s “SOS” Village where they delivered gifts in the form of school supplies, school backpacks, clothing, hygiene products and sweets. 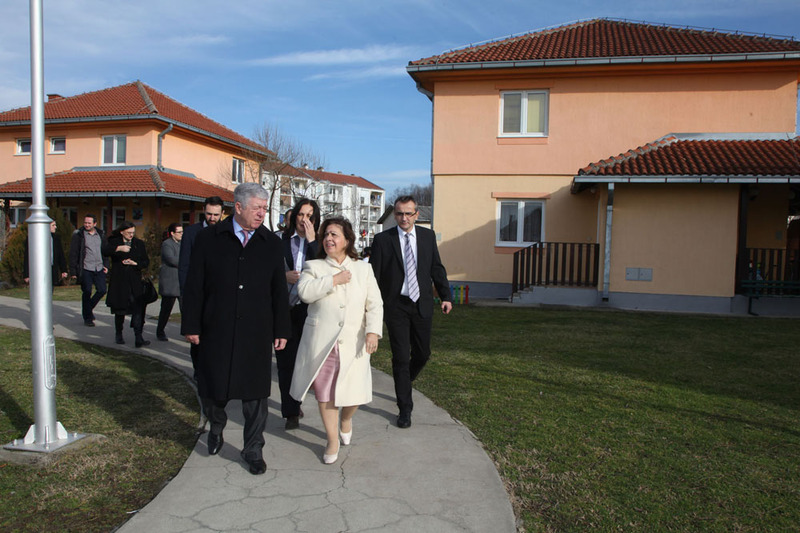 Taking a tour of the premises of the institution, the Royal Couple announced the continuation of helping the Children’s “SOS” Village in Kraljevo.